Irish whiskey has been given an official geographic status by the EU!! Just like Champagne and Prosciutto, Irish whiskey has been granted a “Geographical Indication” marking it as a truly unique product. 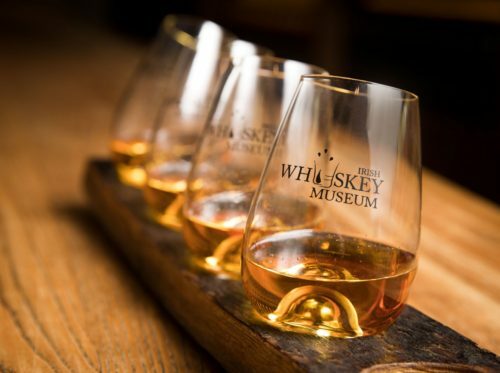 This means that Irish whiskey will now be marked with a sign indicating the geographical origin as well as the product’s particular qualities and production methods. Pot Still Irish whiskey, Malt Irish whiskey, Blended Irish whiskey and Grain Irish whiskey are all now amongst the distinctive types of Irish whiskey which have been granted with the special status. All thanks to the Irish Whiskey Association’s (IWA) submission. Carleen Madigan from IWA described the status as a “momentous achievement”. Irish cream and poitín were also given the geographical indication status by the EU.